The global banana industry is failing to tackle the creeping menace posed by the fungus TR4, to the extent that the world’s most widely traded banana variety Cavendish has zero chance of survival, according to one of the leading authorities on the disease. 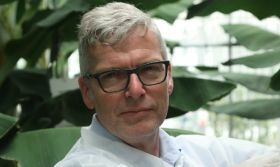 In an exclusive interview with Fruitnet's Mike Knowles and Michael Barker, respectively editors of Eurofruit and Fresh Produce Journal, Professor Gert Kema of Wageningen University & Research says that current efforts to save Cavendish, which is propagated by conventional vegetative reproduction rather than through sexual reproduction, have no real chance of success. In the interview, Kema is particularly scathing of the major banana companies – with the notable exception of “courageous” US-based multinational Chiquita – who he accuses of failing to address the situation proactively and invest in R&D towards sustainability. TR4, a strain of a fungus that causes fusarium wilt, known also as Panama disease, was first noted as long ago as the late 1960s, but following its recent spread from south-east Asia to other parts of the world including Africa and Australia, concern over the future survival of Cavendish is now at its highest. Describing Cavendish as “a remnant of old-fashioned monoculture”, Kema suggests the industry’s future sustainability will lie in diversity. This article was updated to make the correct distinction between TR4, the fungus, and the disease it causes in banana plants.